My daughter Julia texted me a picture of a photographer’s massive gear pile this morning. It was a substantial kit to be sure. Stand cases, background rig, sandbags, gadget bags, and a rolling case. The photographer was at her university in Ohio getting ready for a session. He asked Julia and some other students if they could help him with a bit of setup. Puzzled, Julia asked him if he had misplaced his assistant. The photographer replied that he was working alone. Being a little surprised at that, Julia mentioned that he might be carrying too much stuff. Let’s just say she knows what she’s talking about when it comes to commercial photography. She’s been on scores of shoots both in front of and behind the camera. Her skills with a Nikon are noteworthy. Far be it from me to tell another photographer what to pack. 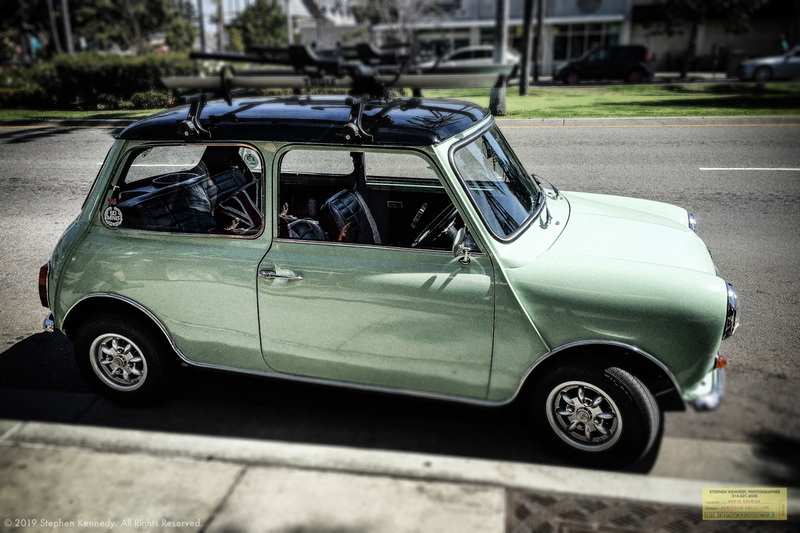 I will say that if you can’t fit your kit into the front passenger seat of a vintage Mini you might not be doing it right.